The Norwegian Lundehund may not be too big, but they have a mischievous and intelligent personality that keeps them busy. Whether it’s digging a hole in the yard or barking down a squirrel, these dogs have plenty of curious energy. With six fingers on each foot and balance like a mountain goat, can we be sure this is even a dog anymore? Affiliations: Recognized by the AKC in 2008 as part of the Miscellaneous class. Activity Level: Despite their size, this breed is full of energy. They can get a bit rowdy if they’re over excited or not exercised enough, as this will lead to an excess of energy. They are known to be fairly active dogs. Good with Children: The Norwegian Lundehund is great with kids for a variety of reasons. Their warm and friendly personalities make them get along with kids well, especially if they are raised with them from a young age. The dog will become another part of the family, and their size makes them less capable of hurting smaller children on accident. This being said, children always need to be taught the proper ways to handle the dog, and younger children need to be supervised when playing. Good with Other Pets: This breed is known to get along well with others, both human and canine alike. They tend to be friendly to other pets as well. However, it’s important to keep them away from tiny pets that they may injure on accident. Their little prey drive helps when sharing the house with smaller animals. As with any breed, they are more comfortable with other pets if they are raised together. 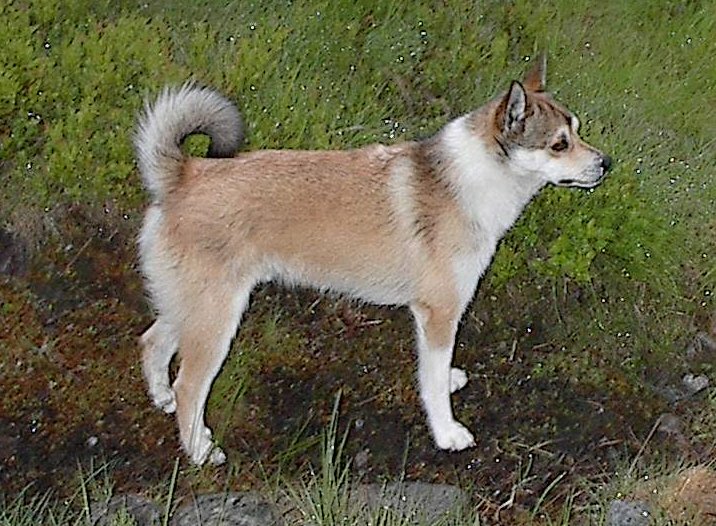 The Norwegian Lundehund is famous for being an ancient breed. Research suggests that these dogs have been living around and in cooperation with humans for thousands of years, perhaps before the Ice Age. Residing in the colder, harsher conditions of Norway led to this dog’s ability to handle the cold well. In ancient times these dogs were known for hunting puffins and other small birds, as well as fish. The Norwegian Lundehund maintained its life in the Norse islands as a hunter of these birds, assisting their human owners. The puffins that they brought back would often be used for food or various necessities. A group of these dogs was capable of retrieving large numbers of puffins with each hunt, with numbers reaching over 50 at times. At the same time, it wasn’t uncommon for some Lundehunds to be killed in such hunts. Puffins were a staple for the Nordic people. Not only were they used for food, but other parts of the body were utilized for a variety of things. The most valuable resource that they had to offer aside from nutrition was their feathers. Puffin feathers were used for a myriad of household items or for stuffing mattresses or pillows. The symbiotic relationship between the breed and the Nordic people helped bolster their population and existence until the early 1900s. 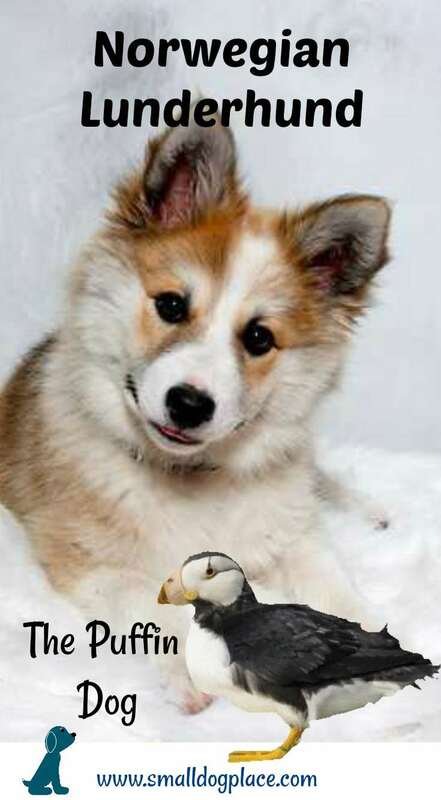 It was around this time that other techniques were utilized to capture puffins, and thus, the dogs were no longer in such high demand. As a result, their population dropped, and some were crossbred with other breeds to make up for the small gene pool. Unfortunately, following their population decrease were both world wars. The economic impact that the conflicts had on Europe made having animals of any type costly. For the most part, those that remained were still used for hunting puffins. Their numbers were scarce, and the population that was alive was plagued by hardship, such as disease and the fact that the few of the breed was so dispersed. While the small gene pool created immense difficulty in keeping the breed alive, the Norwegian Lundehunds of today are very purebred as a result. While the Norwegian Kennel Club had recognized the breed as its own in 1932, the Norwegian Lundehund Club itself wasn’t established until 1962. This was once the breed had bolstered its numbers and began to spread out to neighboring parts of Europe. The breed maintained its rare and relatively unheard of existence in Europe for a while, only managing to make it out of Norway in the 1970s. They didn’t make their way to the United States until 1988 when they were brought back with the some of the founders of the American Norwegian Lundehund Club. While this club had been established that year, the AKC did not recognize the breed until very recently, in 2011. The breed is still amongst the rarest, being the 188th most popular breed in the AKC. It’s safe to say that every dog of this breed is an individual. The Puffin Dog is known for having an independent and intelligent personality that sets them apart from other dogs. Having historically been capable of going off and hunting on their own for their owner, it’s not surprising that these dogs like to take matters into their own hands. The breed’s independence streak, while admirable, can prove difficult in other areas. The Norwegian Lundehund has proven to be one of the more difficult breeds to train. These dogs require an owner that can display themselves as a strong pack leader, whose no’s mean no. Once they acknowledge that the family is their pack, however, they can begin to thrive in a household environment. Being a pack dog, it’s not surprising that they also tend to have separation anxiety. The breed tends to be good with children for a variety of reasons. Their playful and mischievous attitude means they will probably tire any kids out before they even consider taking a break. On top of their fun loving personality, their size makes them ideal for children of all ages. They’re less likely to harm a small child on accident by throwing their body around forcefully. However, it’s still important to supervise young children during play and teach them the proper ways of handling the dog. By the pack dog mentality, the breed tends to get along great with other dogs. It’s ideal to have a Lundehund sharing the house with fellow canines, as they can be fairly territorial when given a chance. 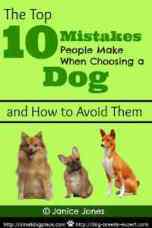 Those that are raised with other dogs tend to be less anxious around unfamiliar dogs. While they have an affinity for fellow pack members, small animals such as squirrels or birds are the exact opposite. Any small pets, like birds or rodents, must be kept out of the dog’s reach. Reach being a relative word, as their famous climbing skills can put their owners to the test. 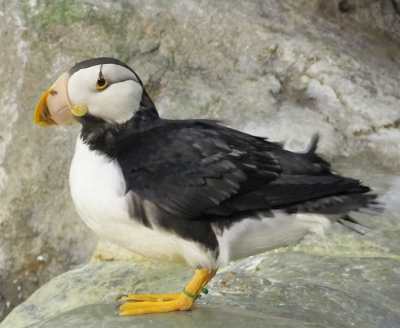 The breed’s strong prey drive originates from their historical pastime as a puffin hunter. This instinct requires that they have a yard with a high fence. Even with a fenced in yard, it’s possible for them to try and dig to get at some critter that unfortunately made its way onto the property. The breed is notorious for its wary personality, paying scrutinizing attention to all details in its environment. Any changes will be met with a barrage of barking for their indiscretion, even if it’s just something heavy landing on the ground. The Norwegian Lundehund’s vocal personality can get them into trouble at times. They are, without a doubt, not meant for apartment or city living, despite their appropriate size. Even in the more sparsely populated area, these dogs will find plenty to bark at. If you are looking for a watchdog, this is the breed for you. Their vocalness can be quelled through early socialization with various sound, sights, and smells, whether it be a walk in the park or an introduction to strangers in the home. The Puffin Dog is infamous for being difficult to housebreak. They’re the perfect storm, with a small bladder and a tendency to mark their territory out of instinct. Some Lundehund owners will install a doggy door to compensate, as it really can be easier to give the dog its freedom to come and go as it pleases than try to iron out all flaws through training. It’s important to be unwavering with house rules, as these clever dogs will find the Achilles heel in every owner. Given their alertness to their environment and displeasure at any changes, it’s not surprising that they tend to be nervous around strangers. The importance of early socialization with this breed cannot be reiterated enough. 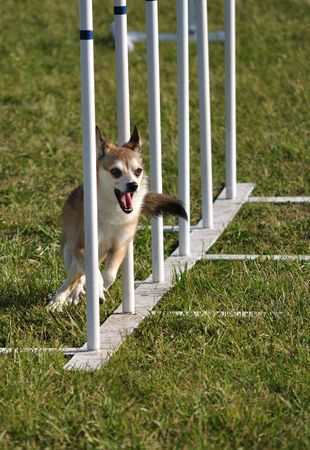 Regular exercise can help to relieve some of the anxious energy that these dogs are inherent to. A simple daily walk will help relax a Norwegian Lundehund immensely, making them much more happy and healthy. The Norwegian Lunderhund is a big shedder but easy to groom. This breed’s dense coat tends to be relatively clean, and lacking in odor. However, this is likely the result of the dog’s heavy shedding. 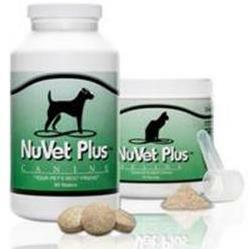 They require regular brushing to remove excess hair and other things from their coat. While this brushing will help keep a lot of loose hair from ending up around the house, expect to be cleaning up after this dog. Their shedding will increase by drastic temperature changes, such as in the summer and winter. The breed only requires bathing as needed. However, it’s best to bathe them at least every 3-4 months. It’s important to take care of a dog’s nails as well. While painting them is very optional, clipping them is not. If a dog’s nails become too long, they can become uncomfortable, and even painful. 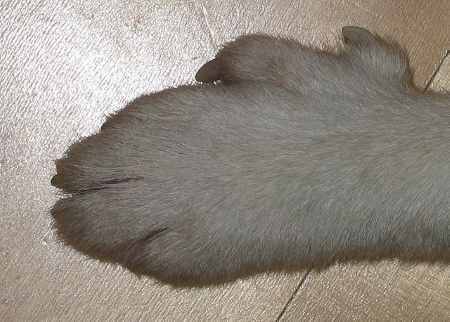 A good way to tell when a dog’s nails are too long is if they can be heard clicking against the ground as the dog moves. If not, it’s safe to assume they’ll need them clipped about once every month or so. It’s easy for things to get caught in dogs’ ears, especially if they hang down. While this is not the case with the Puffin Dog, they still need to have their ears checked regularly as well as clean. Most owners recommend checking their ears at least once a week and cleaning them at least every other week on top of that. Dog breath is infamously unattractive. However, the Norwegian Lundehund needs its brushed teeth as well as its coat. It’s important to provide sufficient dental care to keep the dog healthy and happy. Regular brushing will remove plaque, prevent tartar buildup, and maintain the dog’s breath fresh. It’s recommended that these dogs have their teeth brushed 2-3 times a week. All dogs are probably going to be affected by some health issue down the road. However, prevention is the best medicine. The better nutrition and exercise that they receive, the better chance they have for a happy, healthy life. Some breeds are more prone to certain health conditions than others, however, and it is important to be aware of them when buying a dog. 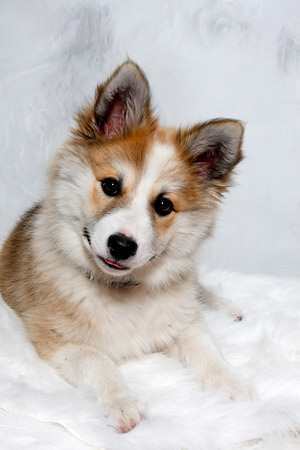 The Norwegian Lundehund is typically a healthy dog, boasting a life expectancy of 12-14 years. The one problem that they have been notorious for having is known as Lundehund Syndrome. This is really just the name for the common gastrointestinal problems that the breed is known to have. While some of the dogs are relatively unaffected, some can die from not being able to process the food they eat into energy. It’s important to make sure that you are purchasing a purebred dog from a reputable breeder. While it is more of a problem with very popular breeds, such genetic issues like gastrointestinal problems are propagated by bad breeding practices, amongst other typical problems that are magnified as a result as well. A good breeder will know the breed inside and out, being capable of answering any questions you may have, as well as being capable of passing health checks for their dogs. The Norwegian Lundehund is one of the very rarest breeds, I struggled to find much of any information on them, nevermind any celebrity endorsements.